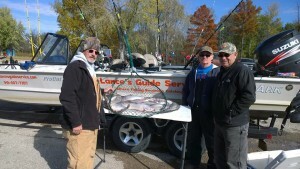 Today, I had Joe and his buddies for a fall shallow water catfish trip. 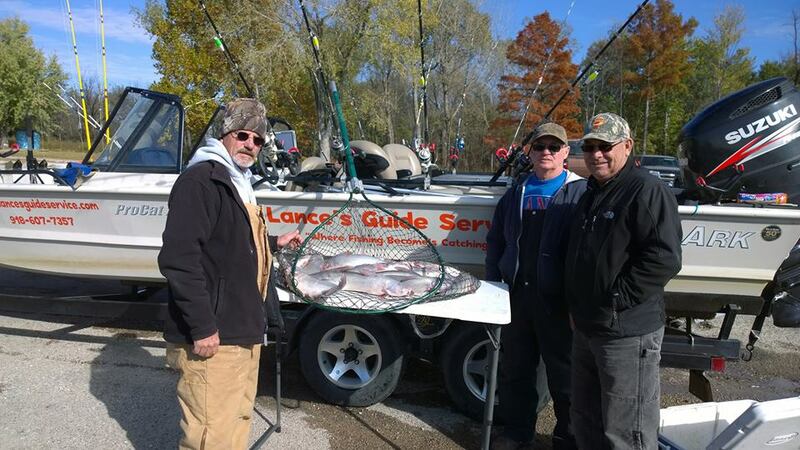 The blue catfish were active and hungry giving these guys a great time on Oologah Lake. The fish were relating to shallow water windblown flats. The bite was aggressive on fresh cut gizzard shad. All fish were caught in less than 8ft of water with most in 2-4 feet. We were using the dropper rig with 5/0 Team Catfish Double Action hooks.